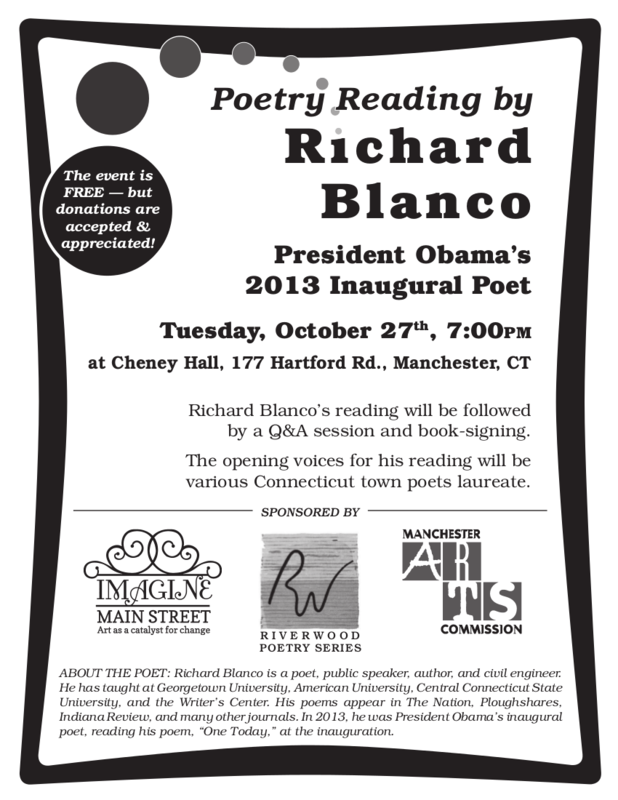 On October 27, 2015, join us for an evening of fine poetry with Richard Blanco and an assortment of Connecticut’s poets laureate. 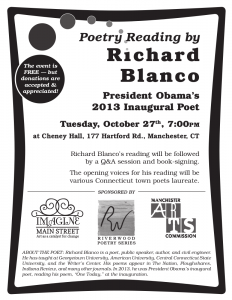 About the poet: Richard Blanco is a poet, public speaker, author, and civil engineer. He has taught at Georgetown University, American University, Central Connecticut State University, and the Writer’s Center. His poems appear in The Nation, Ploughshares, Indiana Review, and many other journals. In 2013, he was President Obama’s inaugural poet, reading his poem, “One Today,” at the inauguration. 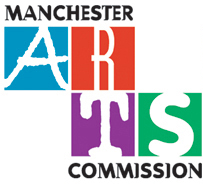 More information on this event located here.